As a blogger you need to have great writing skills in order to communicate to your readers in a clear manner. I had an excellent opportunity to try out StyleWriter 4, an editing and writing program designed to improve your writing skills. How does it work? Just as a you would use a spellchecker to check your spelling errors, Stylewriter 4 checks your writing and shows you how to change, cut and even redraft your writing into the style of the top writers and journalists. I have to say I thought I had superior writing skills. After using the software I realized I had a lot to learn. The software is so easy to use and your writing is improved dramatically. 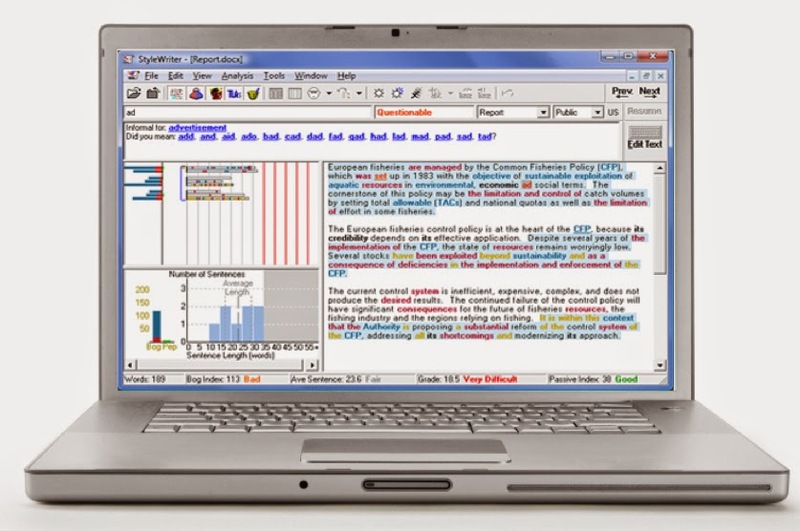 Anyone can use Stylewriter 4 - students, business writers and even professional writers. If you are interested in improving your writing skills, then you can try out this fabulous software system free for 14 days by going here Stylewriter. During your trial, you can check out the three editions to see which one works for you – Starter, Standard and Professional. It's an excellent software program.